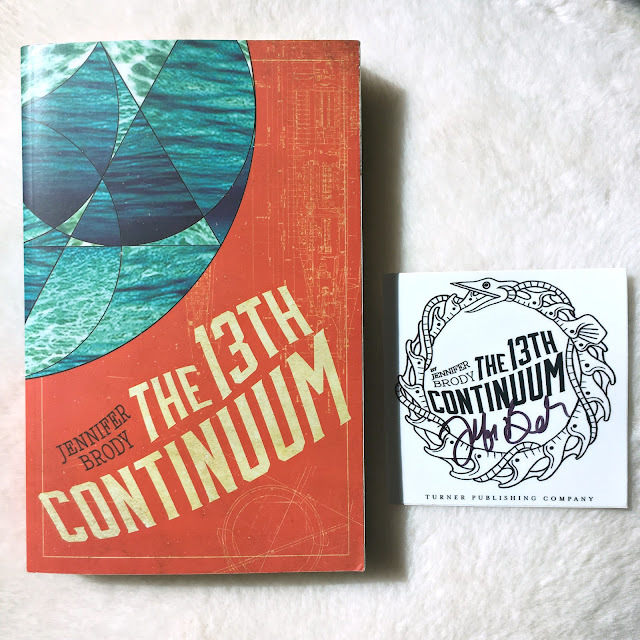 Thank you to Turner Publishing and Jennifer Brody for sending me an autographed copy of The 13th Continuum! This book is the first installment in The Continuum Trilogy. Book #2 Return of the Continuums was published November 1, 2016 and book #3 The United Continuums will hit shelves July 11, 2017. 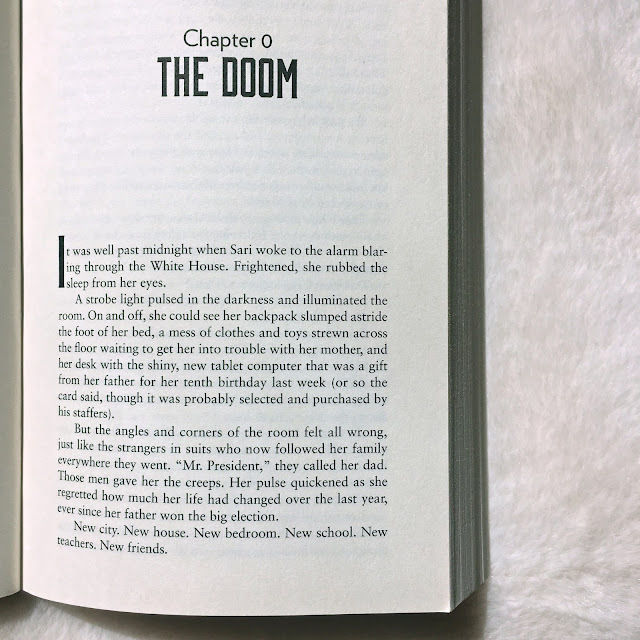 "One thousand years after a cataclysmic event leaves humanity on the brink of extinction, the descendants of the chosen survivors take refuge in thirteen contingency shelters buried deep underground, at the bottom of the ocean, and in the far reaches of outer space. In the underwater 13th Continuum, sixteen-year-old Myra Jackson has heard rumors and whisperings all her life of a magical place called "The Surface” where people could breathe fresh air, feel the warmth of something called sunlight on their skin, and see things known as stars and trees and mountains. Myra has never dared to ask whether the stories are true, since the act of speaking such words aloud is an offense punishable by death. But after she discovers that the air supply aboard her underwater colony is running out, she realizes that her only hope for survival is to find this mysterious place. To get there, she must first recover the only guide to the Surface—the Beacon, an ancient device that also connects her to Captain Aero Wright, a dashing young soldier from one of the only remaining space colonies. With the fate of all humankind depending on them, Myra and Aero must escape the tyrannical forces that rule their colonies, journey through the black depths of the ocean and across the cold void of space, to find each other on the Surface that their ancestors once called home." "It was well past midnight when Sari woke to the alarm blaring through the White House. Frightened, she rubbed the sleep from her eyes. A strobe light pulsed in the darkness and illuminated the room. On and off, she could see her backpack slumped astride the foot of her bed, a mess of clothes and toys strewn across the floor waiting to get her into trouble with her mother, and her desk with the shiny, new tablet computer that was a gift from her father for her tenth birthday last week (or so the card said, though it was probably selected and purchased by his staffers). But the angles and corners of the room felt all wrong, just like the strangers in suits who now followed her family everywhere they went. "Mr. President," they called her dad. Those men gave her the creeps. Her pulse quickened as she regretted how much her life had changed over the last year, ever since her father won the big election. New city. New house. New bedroom. New school. New teachers. New friends."